Larry James Hill was born on June 26, 1957 to Louise Hardaway Hill and the late Robert Hill. His funeral service was held on Saturday March 23, 2019 at 1:00 pm at New Bethel God's House of Promise with Reverend Lawrence Pirtle in charge. Burial was in the church cemetery and Dixie Funeral Home (www.dixiefuneralhome.com) was in charge of the professional service. He was raised in Bolivar, TN along with his siblings. Larry attended Hardeman County Schools at an early age and later graduated from Bolivar Central High School. Larry was a much laid back person that loved playing with his grandchildren, listening to music, and hanging out with family and friends. On April 4, 1987, he was joined in Holy matrimony to Eva C. Pirtle. To this union two children were born; LaKeshia and LeBrandon Hill. Larry was employed by Monogram Refrigeration LLC for 25 years until he transitioned from earth. Larry was preceded in death by his son, Larry James Hill II and his father Robert Hill. 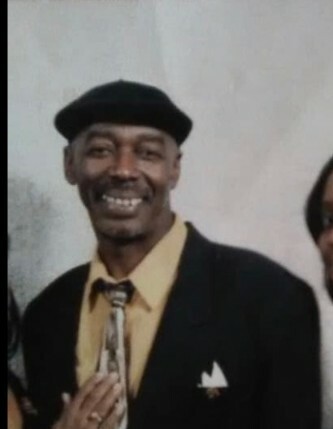 His memories will be cherished by: his loving devoted wife of 32 years; Eva C. Hill, his mother; Louise Hardaway Hill, Two Daughters; Lakeisha J. Hill and Renita (Elcarlo) Simpson, three sons; Marcus Sr. (Pearlie) Hill, Larry James Woods, and LeBrandon Hill all of Bolivar, TN. Two Stepdaughters; Latoya Pirtle and Kawanna Golden-Olden, Two sisters; Theresea (David) Cox and Angela (Thomas) Hudson, Six Brothers; Ricky Hill Sr., Earnest (Bo) Hill, John (Angie) Hill, Mitchell (Maggie) Hill, Charles (Maxine) Hill, Terry (Ann) Hill, all of Bolivar, TN, Mother-In-Law; Rosie Lee Pirtle, Three Sisters-In-Law: Rosa Mae Neely, Martha (Robert) Robertson, Mary Irene (Eddie) Lloyd, Three Brothers-In-Law; George Pirtle, Jimmy Pirtle, James Pirtle, two relatives that he helped raise; Alamine Lloyd and Malia Lloyd, thirteen grandchildren, one great grandchild, two special people whom he was with daily; his brother Terry Hill and his dear friend Jackie Pilgrim (Pete), and a host of nieces, nephews, cousins, aunts, uncles, other family members, and friends.